The XSA ROX Climbing Holds, Maanda range consists of 5 shapes of small positively shaped climbing holds. Manufactured from high quality polyeurethane with excellent grippy texture. Hold Qty: 5 Size: Small Type: Incuts and edges * Each climbing hold set is a single, bright colour, randomly selected from the standard colours held in stock, unless you specify a preferred colour below. Climbing Holds are manufactured in-house by XSA Climbing Walls and are dispatched within 48 hours of order. 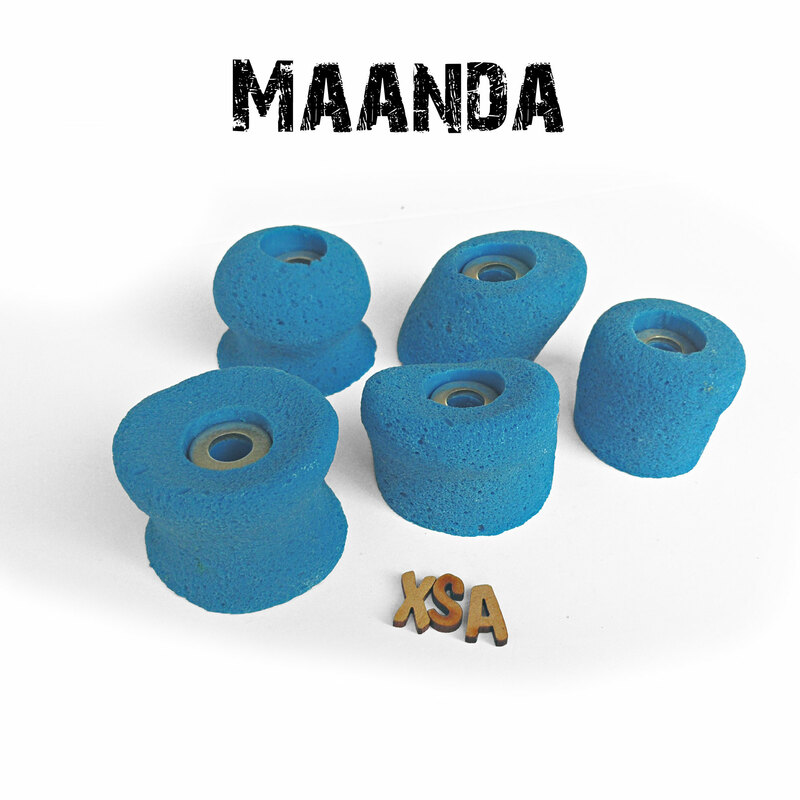 Description The XSA ROX Climbing Holds, Maanda range consists of 5 shapes of small positively shaped climbing holds. Manufactured from high quality polyeurethane with excellent grippy texture.